J Gordon & Co is the mid-Chesapeake Bay dealer and repair center for Ritchie compasses and for C. Plath compasses distributed by Weems & Plath. 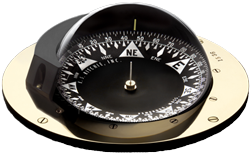 We stock most service parts for Ritchie compasses and C. Plath compasses here at our Eastport, Annapolis shop. 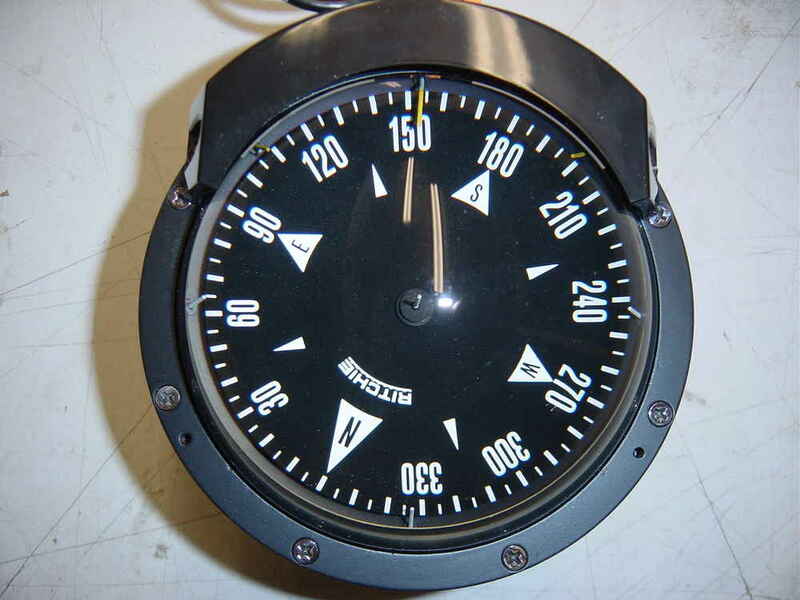 If you have a compass that is damaged or has a bubble in it we can generally repair it for much less than a new compass. We service most brands that are in the marine market. Note: If you have a C. Plath compass and it has no fluid left in it, it should NOT be shipped, it should be hand carried into our shop to prevent damage to the compass. 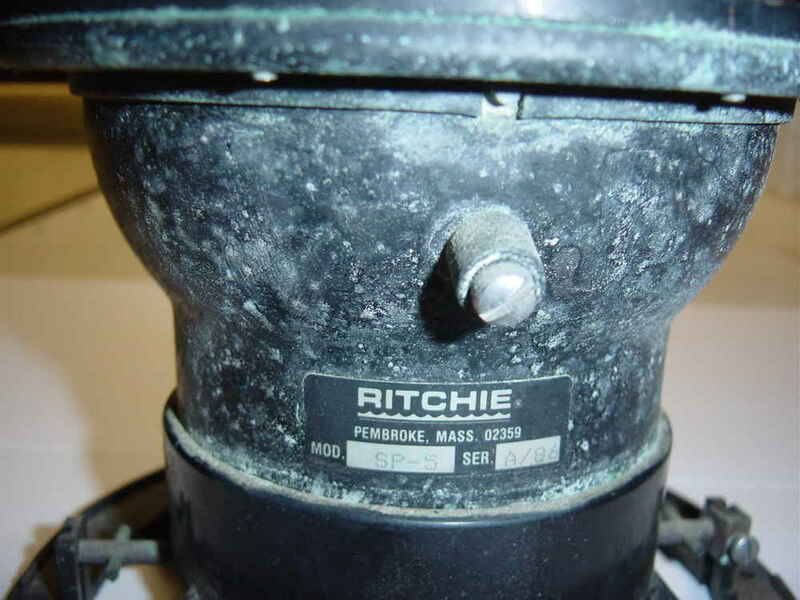 Below is an example of a Ritchie SP-5 Globemaster that was brought in for refurbishing. Compass was dissassembled, brass body was sandblasted and repainted. Dome and o'ring were replaced, and unit was refilled with Isopar oil. Note: New replacement LED lights and light shields are available for most models. Body was sandblasted and painted. New globe and o'ring, filled with new oil. 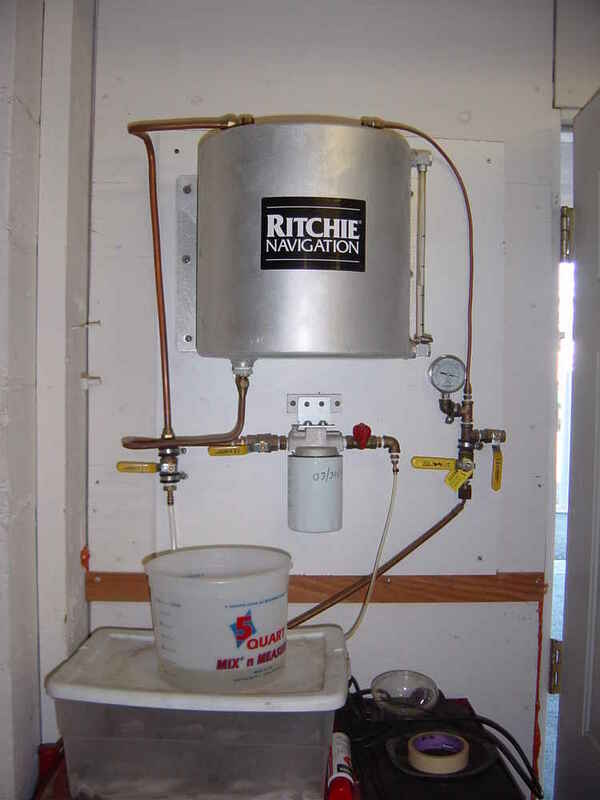 J Gordon has a specially built oil vacuum system. This system vacuums out all of the microscopic air in the oil (Isopar), making sure you won't develop an air bubble after filling your compass. 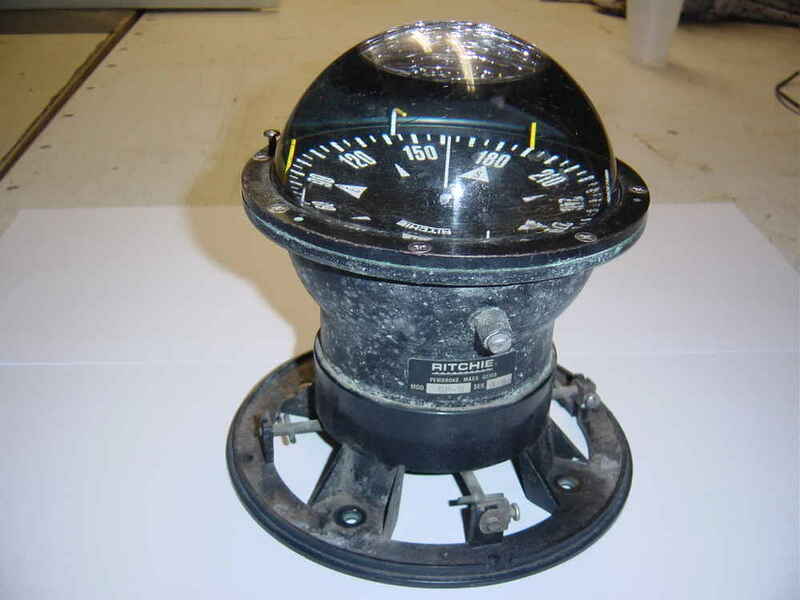 Ask about our reconditioned or refurbished compasses we have at the store. 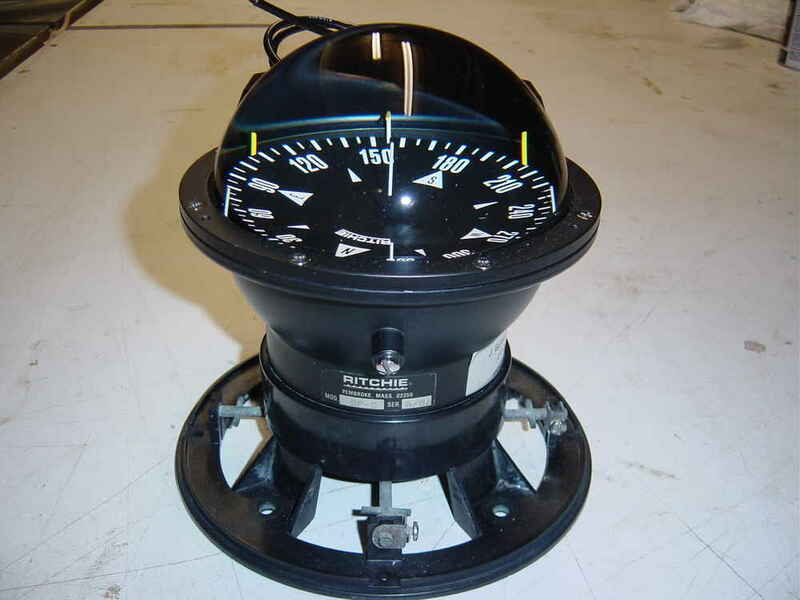 Once your compass has been repaired it should always be re-swung after it has been reinstalled back on the boat. 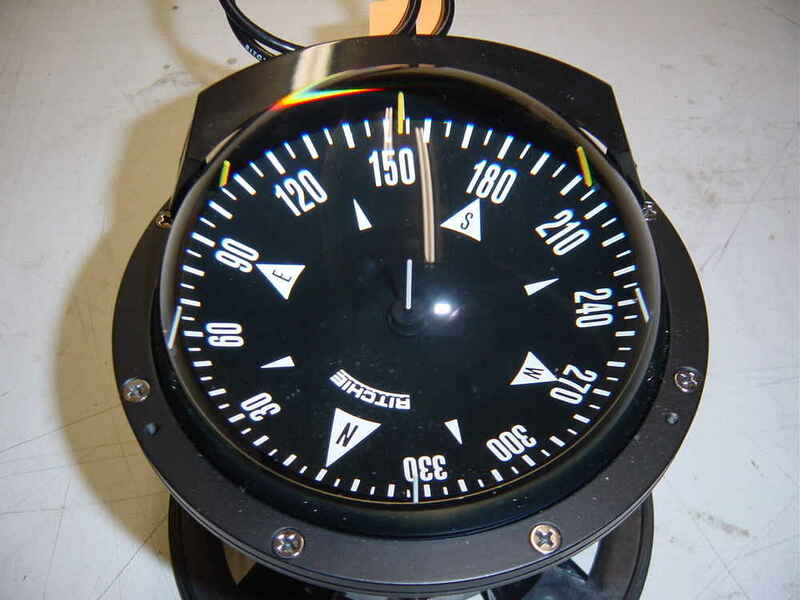 This is the only way your compass can have any deviations corrected. In the Annapolis area, Annapolis Compass can do this for you, servicing: pleasure, commercial and military vessels.